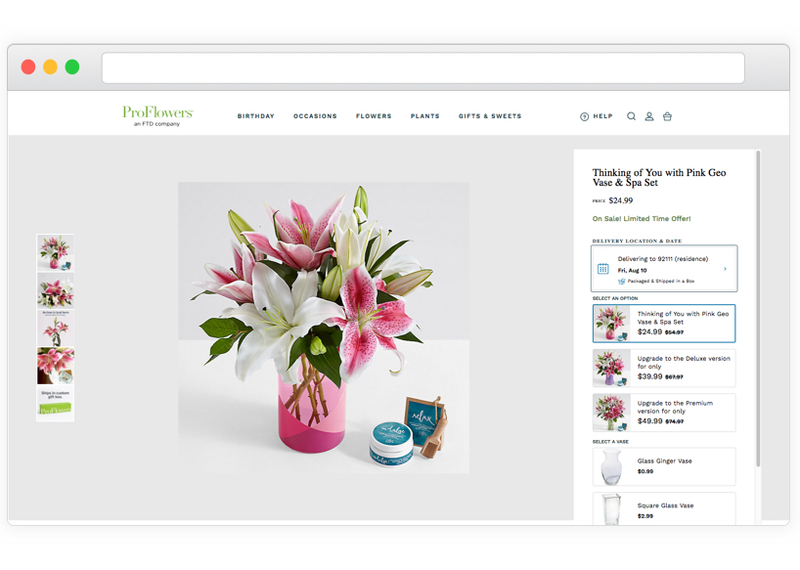 ﻿﻿﻿﻿﻿ProFlowers began in 1998 and revolutionized the selling of flowers online when it launched its first test for Valentine's Day. 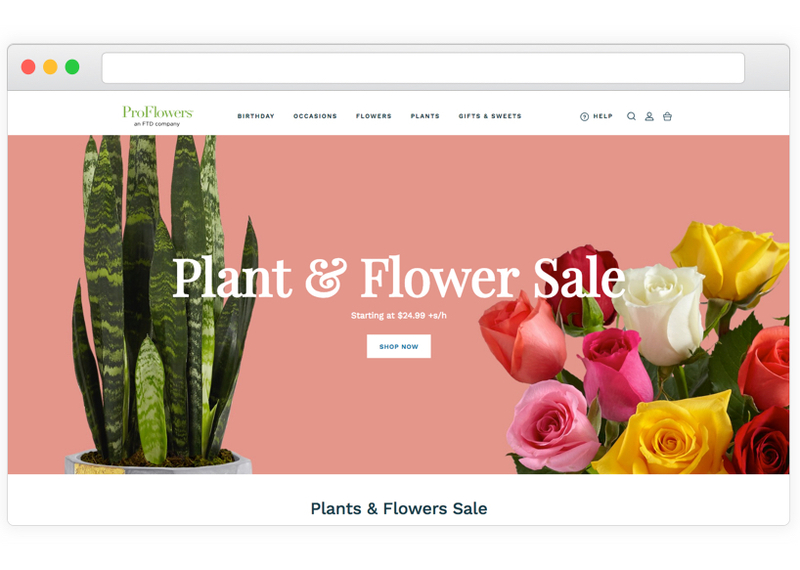 Today, ProFlowers delivers fresh and colorful floral bouquets ready to bloom for at least seven days. 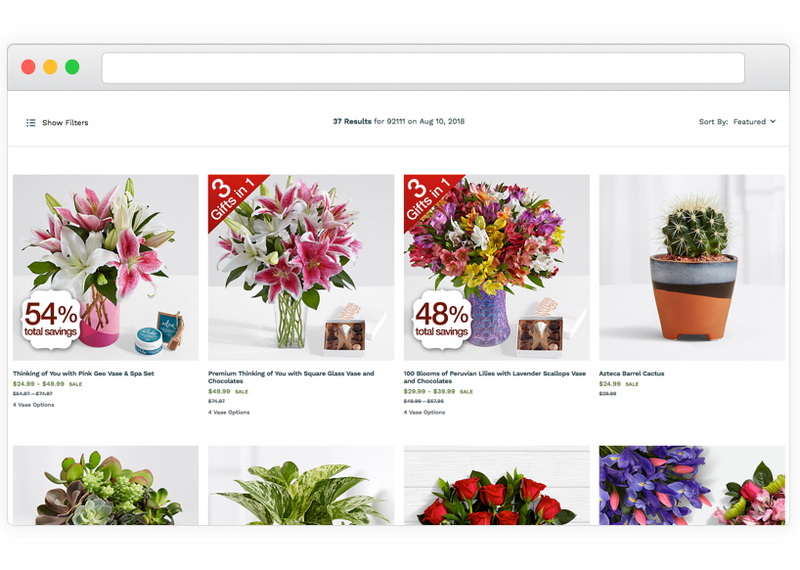 The online floral company guarantees service, value and reliability when it matters most. 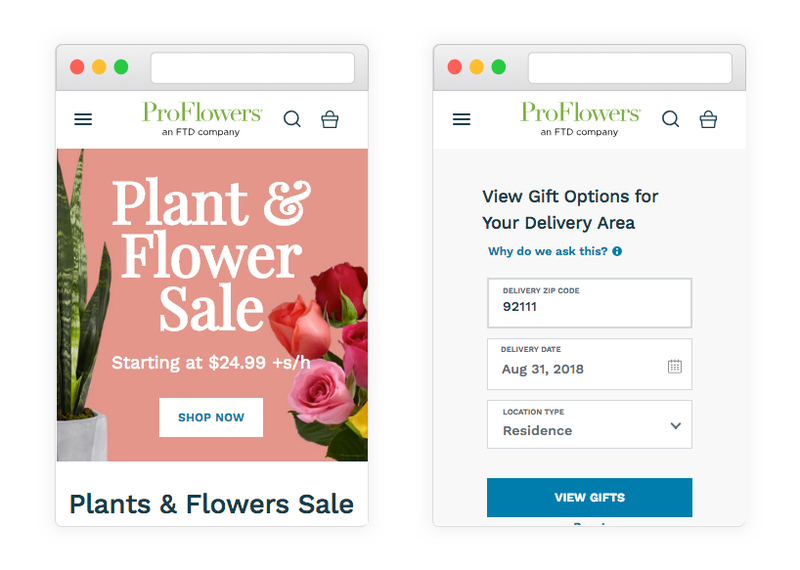 ProFlowers' grower-direct model promises floral and plant expertise, on-time fresh delivery, a longer bloom, and empowered and proactive customer service. Gather user requirements in collaboration with product managers and engineers. Illustrate design ideas using storyboards, flows and sitemaps. Design graphic user interface elements, like menus, tabs and widgets. Develop UI mockups and prototypes. Prepare and present rough drafts to internal teams and key stakeholders. Identify and troubleshoot UX problems. Conduct layout adjustments based on user feedback. Adhere to style standards on fonts, colors and images.